At the juncture of the Mediterranean, Levant, and West Asia, some of the world's greatest cultural sites lie in Turkey. UNESCO World Heritage Sites are either manmade or natural and have protected status to preserve their cultural and environmental importance. 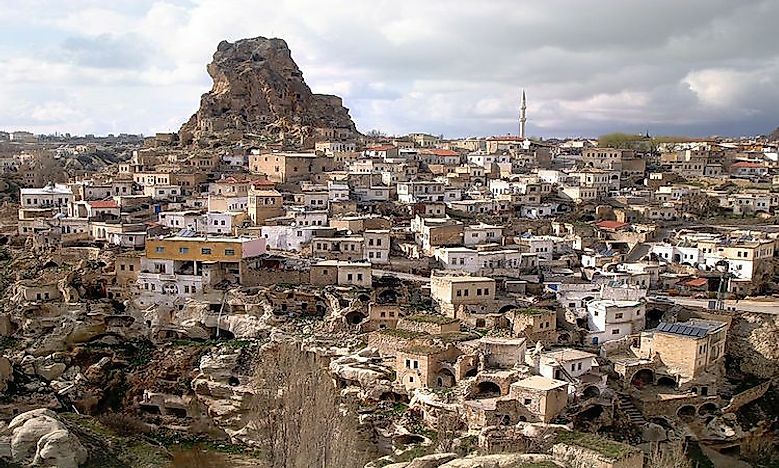 When Turkey accepted the UNESCO World Heritage Convention in 1983, it became eligible to include its historical locations on this list as well. Today, Turkey has 16 sites. This article inspects some of these World Heritage sites. This site was one of the first to be included in the World Heritage list in 1985 along with two others. The Goreme National Park and Rock Sites of Cappadocia are very important to the people and government of Turkey because they offer a glimpse into ancient traditional lifestyles. It is protected for both its cultural and natural value. This area was formed by erosion and has geological formations that range from mountains to valleys to hoodoos (rock columns). It contains what was once one of the largest cave-dwelling societies in the world. Today, ruins of homes, churches, and subterranean cities can be found carved into the surrounding rocks. They were created in the 4th century AD and even served as a refuge against Arab invasions. This World Heritage site is a well-preserved example of an ancient human settlement although recently, erosion and tourism have been damaging the site. Located in southwest Anatolia, near the city of Pamukkale, this site is an ancient city built on hot springs. The hot springs have been an important site for humans since at least the 2nd century BC. The springs, over time, have created mineral forests and petrified waterfalls due to its high levels of calcite. This calcite leaves a white layer over everything and the city name of Pamukkale means “cotton castle” due to this phenomenon. Researchers have found sarcophagi in the surrounding necropolis. Today, the area is an archaeological museum where tourists can visit Greco-Roman ruins including: old stone baths, theater, temple, and city gates. In addition to these architectural wonders, the site is home to a complex system of canals that carries the warm waters to nearby communities. Having been rebuilt several times throughout history, the Hierapolis also has Christian churches, baptisteries, and cathedrals that were established between the 4th and 6th centuries AD. This location was added to the World Heritage Site list in 1988. The Archaeological Site of Ani is the most recent addition to the World Heritage Site list. It is located in northeast Turkey, high up on a plateau that overlooks the border with Armenia. Ani was an important medieval city, especially during the 10th and 11th centuries AD. During this time, Ani was the capital of the Bagratid Kingdom of Armenia and an important piece of the Silk Road. It remained an important trade center for hundreds of years until the 1300’s when Mongols invaded and an earthquake destroyed the city. The site was protected because it provides a look into the development of medieval architecture between the 7th and 13th centuries. Today, tourists can visit the cathedral, several churches, the Manuchehr mosque, the citadel, and the city walls. These are just 3 of the 16 sites in Turkey. Other important World Heritage Sites include mosques, historic cities, and many archaeological ruins. A complete list of these places can be found below.